It was a busy day for the markets yesterday with a number of economic releases lined up. The Eurozone flash services and manufacturing PMI’s showed that activity in both the sectors fell to 18-month and a 16-month low. This brought the Eurozone composite output index to an 18-month low. The euro was little changed on the news although the common currency was trading broadly weaker. In the UK, the inflation data showed that consumer prices rose at a pace of 2.4% which was less than forecast. The core inflation rate was seen rising at 2.1%, which also missed estimates of a 2.2% increase. The weak inflation data stoked speculation that it could delay the Bank of England’s rate hike plans for the month of August. The British pound was seen weakening after the release. The NY trading session saw the release of Markit’s flash manufacturing and services PMI’s which were broadly in line with estimates. The Fed meeting minutes were released yesterday. The data did not add any new information to the markets. The minutes revealed that officials were upbeat about the economy and that the next rate hike would be appropriate. The minutes confirmed the market views that the FOMC will be hiking interest rates at the next Fed meeting June. Data for the day ahead starts off with the German final quarterly GDP estimates. Forecasts point to an unchanged print of 0.3% in the first quarter. The BoE Governor Mark Carney is scheduled to speak earlier in the day. The UK’s retail sales report is due later with estimates showing a 0.8% increase on a monthly basis. The ECB will be releasing the monetary policy meeting minutes thereafter. Data from the U.S. will see the release of the existing home sales report. Fed members are also scheduled to speak over the day. Planning to trade the ECB minutes? 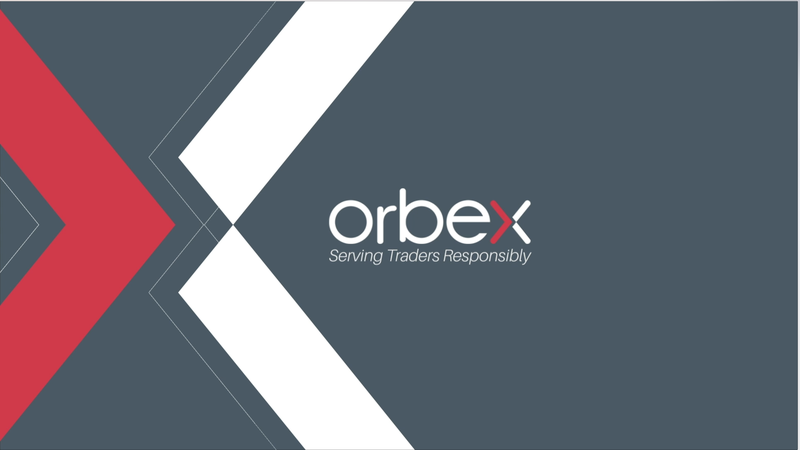 Do it with Orbex… Open your account now. EURUSD (1.1700): The EURUSD currency pair slipped past the 1.1730 level of support to briefly touch down to 1.1672 level before pulling back. Price action remains subdued at the current levels although the EURUSD could be seen attempting to post a reversal in the near term. The 4-hour Stochastics continues to remain the oversold level and a breakout above 1.1730 on a 4-hour basis could potentially signal a move to the upside. Still, price action needs to breakout from the falling price channel to confirm this upside in price. USDJPY (109.46): The USDJPY currency pair fell sharply as price action failed to capitalize on a modest rebound. USDJPY is now seen trading near the support level at 109.57 – 109.43 region. We can expect to see a rebound in price action in the near term. However, the gains are likely to be short lived but there is a potential for USDJPY to retrace the losses all the way back to the resistance level at 110.85. In the near term, a break down below the current support level could signal a decline to the next lower support at 109.90. XAUUSD (1295.19): Gold prices continue to remain consolidating near the current levels. Price action is seen stuck between the 1304 – 1301 level of resistance and 1282 level of support. We expect this sideways movement to continue until price breaks out from either of these levels. To the upside, a close above 1304 – 1301 resistance could signal a move toward 1325 level. To the downside, a break down below 1282 would keep gold prices subdued to test the 1250 support.